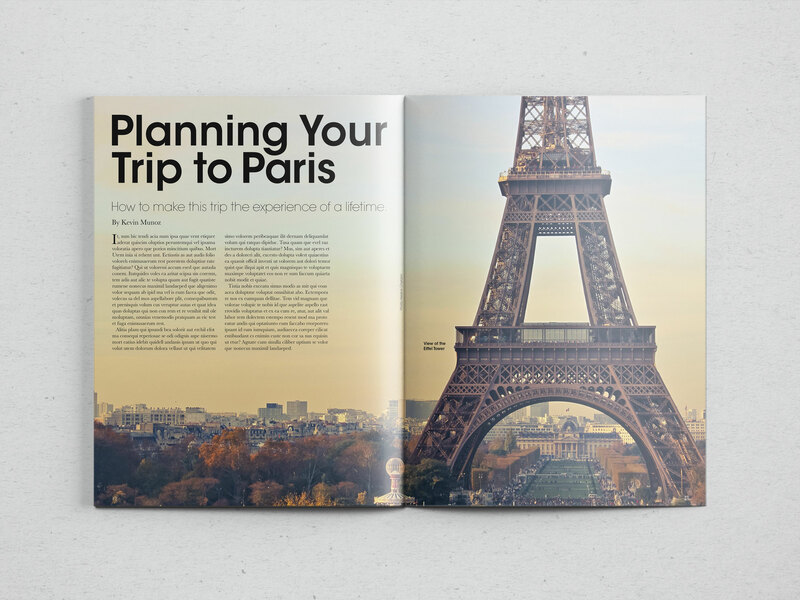 The objective was to create 3 spreads for a magazine article that would guide tourists as they take a trip around the city of Paris. It was created in InDesign using the typefaces Avant Garde and Baskerville. 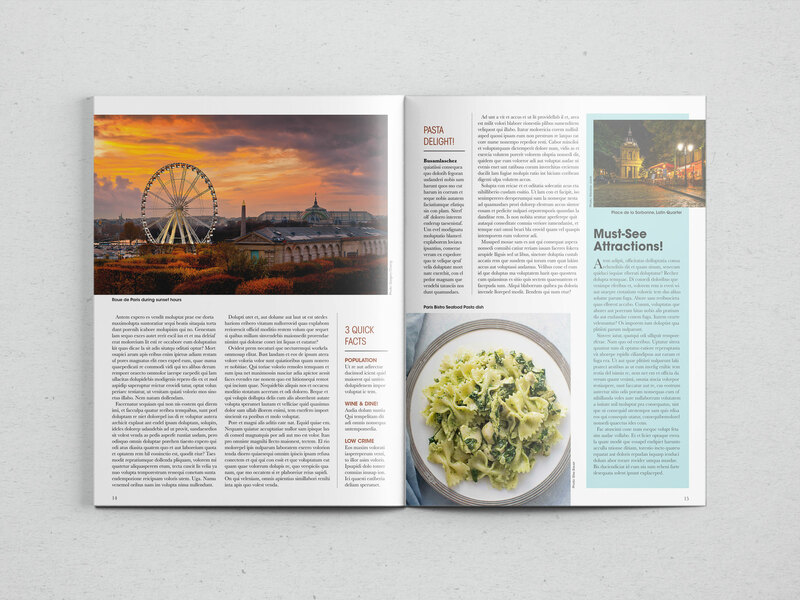 Hierarchy is kept consistent throughout each spread in both display and body type. 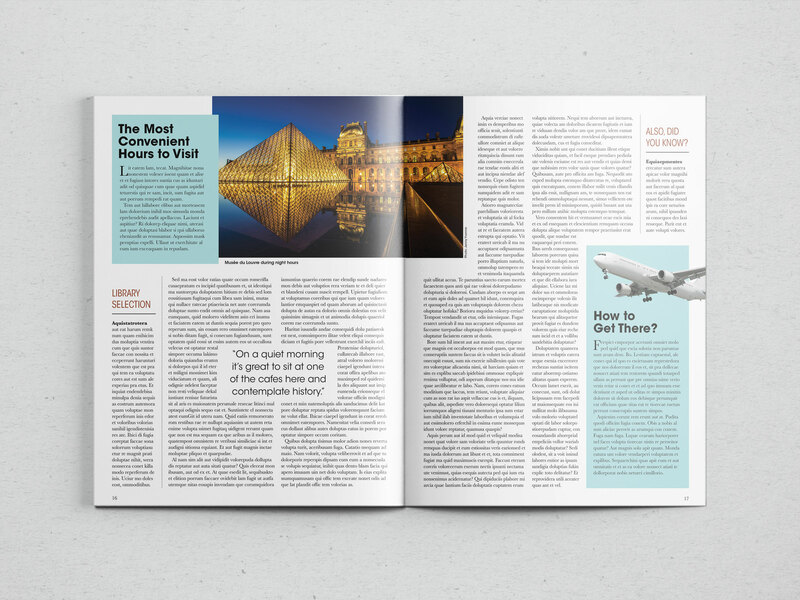 The overall substance of the article is layed out neatly, utilizing a 5 column grid for a smooth, easy read without causing the reader to get confused or overstuffed with cluttered content. 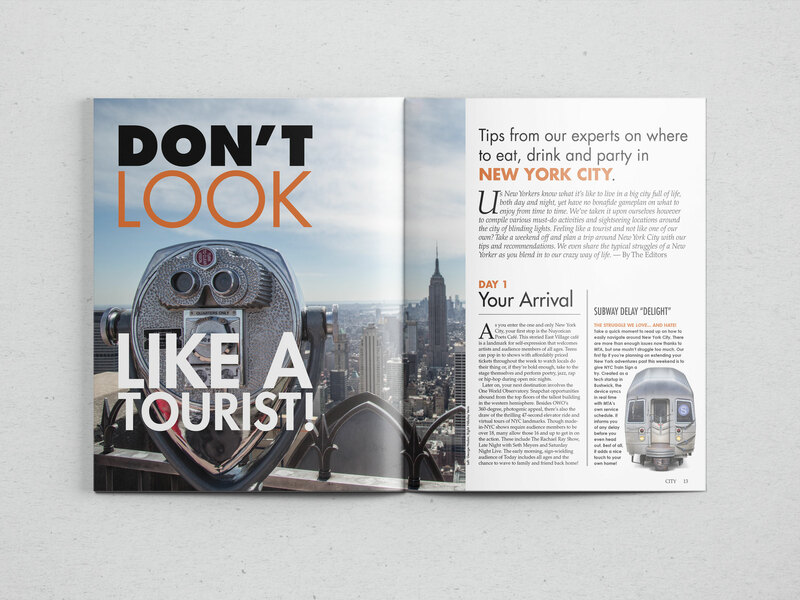 The objective was the same for another magazine article that would guide tourists on a trip around New York City. 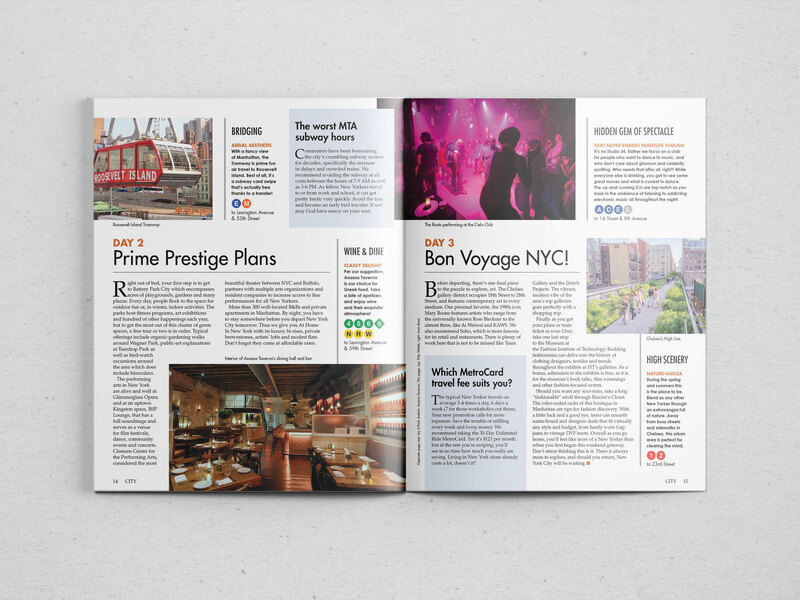 These 2 spreads were also created in InDesign, using a combination of the typefaces Futura, Palatino and Century Gothic.